New York (TADIAS) – As the countdown to the 2012 Olympic Games in London gets underway, a remote town in the Arsi region of Ethiopia called Bekoji is receiving international attention as the world’s capital of long-distance running. During the Beijing Olympics four years ago, runners from Bekoji won all four gold medals in the long-distance track events. The highland Arsi region is home to many of Ethiopia’s Olympic Champions, including Haile Gebrselassie, Tirunesh Dibaba, Kenenisa Bekele and Derartu Tulu. A new film co-produced by British-Ethiopian Dan Demissie and directed by notable filmmaker Jerry Rothwell introduces us to the town of Bekoji through the eyes of two teenage female athletes as they progress from school track to national competitions. The 86 minute documentary is also part of the 2012 Tribeca Film Festival, which is currently underway in New York. 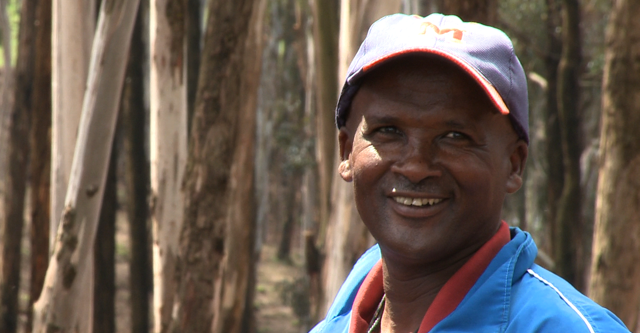 The story centres on Mr. Sentayehu Eshetu, a former elementary school Physical Education instructor, who discovered and trained several of the country’s top runners, most significantly Derartu Tulu, the first African woman to win a gold medal at the Olympic Games. Narrated by their friend Biruk who runs a kiosk on the main road into town, the documentary follows two girls, Alemi and Hawii, over a three-year period from 2008 to 2011, as they strive to become professional runners. 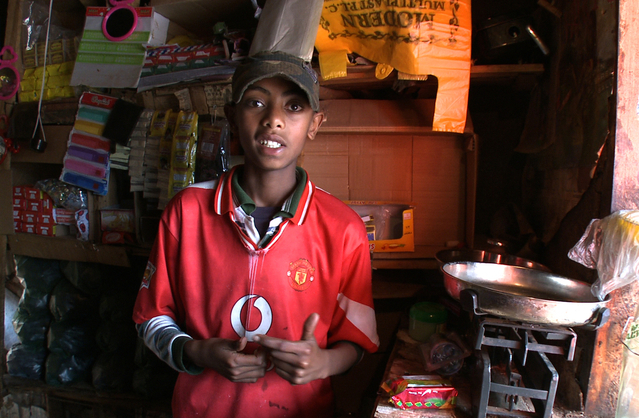 Through their struggle, the film gives a unique insight into the ambitions of young Ethiopians balancing their lives between the traditional and modern world. Demissie proposed the idea of Town of Runners to Met Film Production back in 2008, while still a student at Met Film School. During his three years there he worked on the Bekoji project while fulfilling graduation requirements, and has now started graduate studies at the National Film and Television School in the U.K. But Demissie pointed out that language was a problem for the mostly European film crew. “Back in England, I listened to my parents speak Amharic at home and I would respond in English. In Ethiopia, however, we were in a place where they talked Oromiffa and Amharic, so that was pretty challenging at times,” he said. The Town Of Runners soundtrack features legendary band leader and father of Ethio Jazz, Mulatu Astatke, and additional recordings from Emahoy Tsegué-Maryam Guébrou, as well as a score by the British composer Vincent Watts. Town of Runners will screen at Tribeca Online Film Festival on Thursday, April 19, at 6:45 PM.